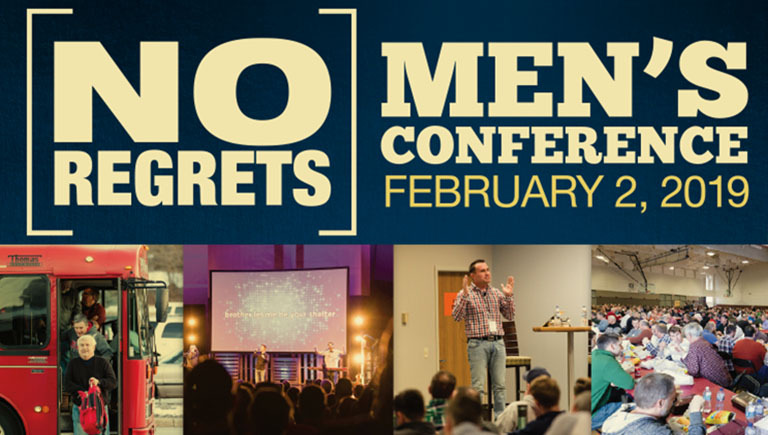 The mission of Men’s Ministry is to help transform the lives of men by pursuing Jesus, TOGETHER! This weekend is packed full of so many great opportunities for you to learn and grow in your relationship with God. However, what may just be the most important part to your whole weekend is the relationships you will form with other men from Oakwood. Men, we are fools if we think we can travel through life alone. *Even if you plan to attend No Regrets at Elmbrook Church with another group, or don’t plan to attend No Regrets at all… Please plan to join us at Oakwood on Friday and Saturday night in order to grow and develop those very important friendships!